The man who brutally murdered Uncle Harry is dead. In an effort to recover from the confrontation and collect himself, Jack takes refuge on Torcello, a small island in the Venetian lagoon, to return to his writing career. Even more urgently, he wants to win back Kerry, the beautiful lawyer who rejected him after the bloody episode with Harry's assassin. But events beyond Jack's control intervene: Kerry loses her life in circumstances that contradict everything Jack thinks he knew about her. Soon death begins to stalk Jack himself. It is impossible not to recognize in its drumbeat the machinations of Abner Brown, the man who orchestrated Harry's demise. Jack fights back, driven by cold rage and determination to complete his revenge. At his side is Kerry's best friend, the glamorous and enigmatic Heidi Krohn. Their quest will force Jack to plumb the abyss of depravity into which Kerry had sunk and face one of his fellow Marines who has embarked on a violent feud of his own. 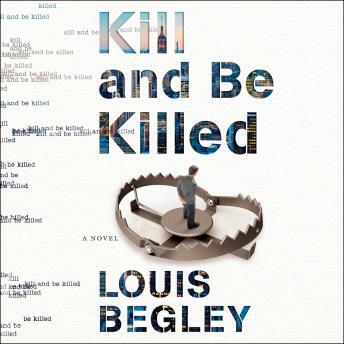 Reprising memorable characters from Killer, Come Hither and introducing dangerous new ones, Begley concludes Jack's harrowing vendetta with one last shocking twist.